Hello! Thank you for taking the time to check out our web site. My name is Dr. Kirk Brown and I have been in practice for 26 years. 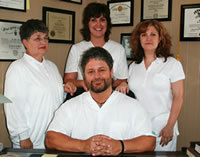 The purpose of this web site is to introduce you to our practice in a very concise and simple way. Chiropractic has certainly become very popular over the years as a method of re-gaining health for many conditions. If you will follow the prompts located to the left in blue, you will find the details of many conditions we routinely treat with great success. If you wish, you can find out how chiropractic treatment changed the course of my life and drove me to seek a career in the chiropractic field. Or, you can go straight to the pages that apply to your specific needs. The separate sections of our site are “short and sweet” to give you the information that you require to help you make a clear decision concerning your health needs. We utilize sound chiropractic principles and other therapies, along with educating our patients to help them take a more active role in the restoration and maintenance of their health. By the time we see a new patient, many of them have already gone through considerable and costly medical treatments and are still suffering! 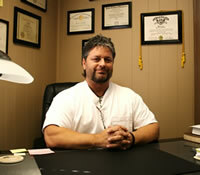 Our main goal is to provide quality chiropractic care to our patients at an affordable cost. Please feel free to utilize our web site for the information you need to help you take the next step toward a better life. We are here to serve you.